To edit other users' settings in an account, you must have been granted permission to manage users. On the top right of the page, click Settings. Click on the small gear on the right pictured below to Edit Settings of the user whose settings you would like to modify. Now you can edit this user's settings. 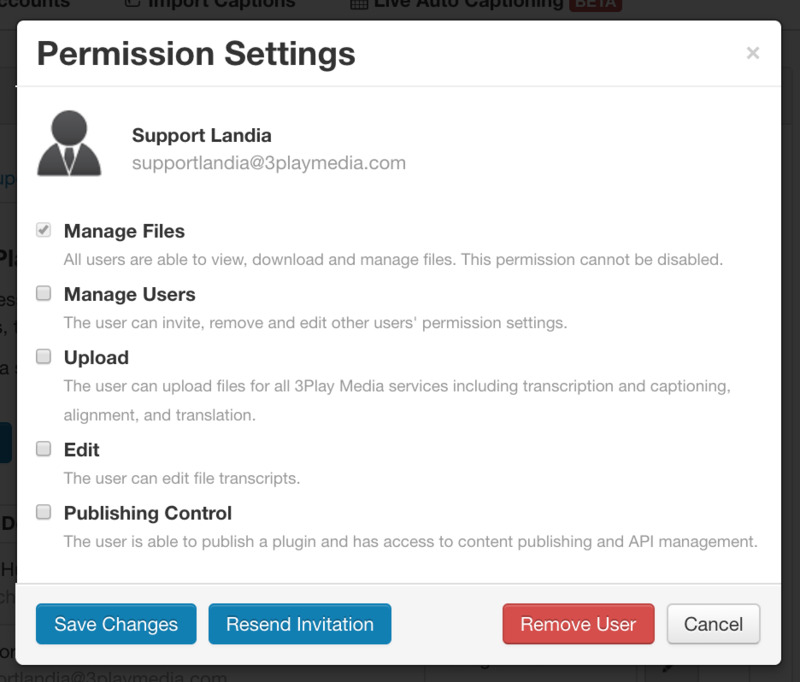 You can now turn on or off their permissions to Manage Users, Manage Invoices and Billing, Upload media files, Edit transcripts, and access to Publishing Control. See more information on the features and tools you can edit for a user in your account.